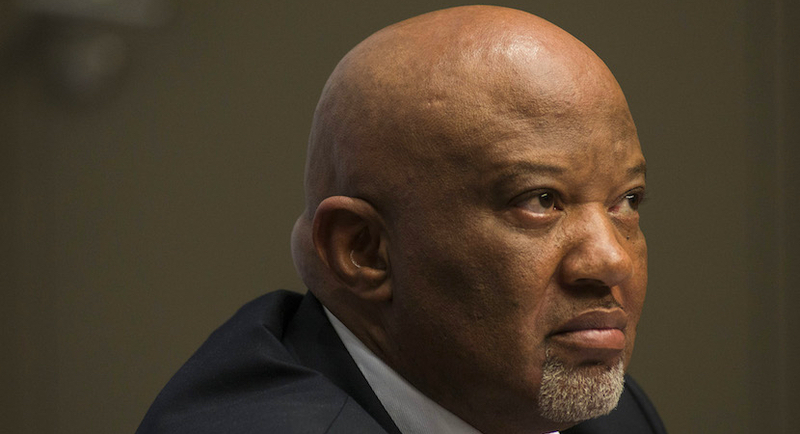 (Bloomberg) – A member of the Gupta family offered South Africa’s former Deputy Finance Minister Mcebisi Jonas R600 million ($42 million) to take the top ministry post and threatened to kill him if he spoke of the offer, Jonas told a judicial inquiry. 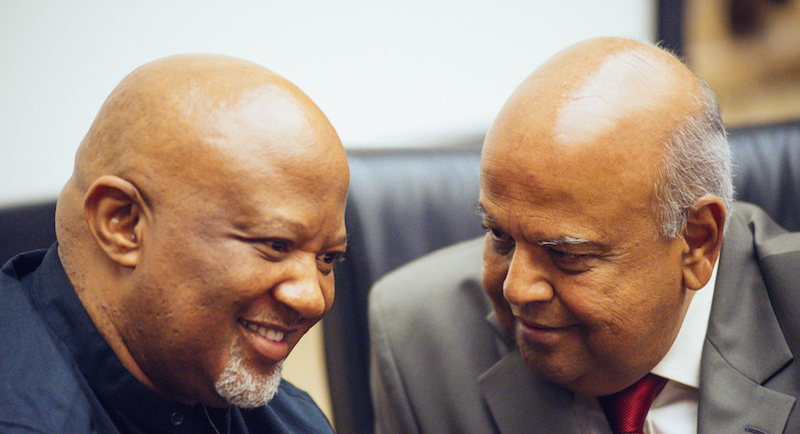 Jonas was instructed to fire National Treasury officials who were a “stumbling block” to the family’s business interests during the meeting in October 2015, he said at a hearing investigating accusations of corruption during Jacob Zuma’s presidency. The former deputy minister refused the bribe but Finance Minister Nhlanhla Nene was later fired after rejecting pressure to agree to approve the construction of nuclear plants, Jonas said. The Guptas are friends of Zuma, who was president of the country until February, and have been accused of using that relationship to influence government decisions and win state contracts. Nene was replaced by little-known lawmaker Des van Rooyen in a late-night announcement by Zuma less than two months after Jonas met with the Guptas. The Gupta brothers and Zuma have denied wrongdoing. “At the end of the meeting, Mr Gupta repeated that they had information on me and if I suggested that the meeting had occurred, they would kill me,” Jonas testified during the third day of the inquiry in Johannesburg on Friday. The meeting was organised by Duduzane Zuma, the former president’s son who was a business partner of the Guptas, Jonas said. The inquiry follows a report of the anti-graft ombudsman released in 2016 that found the Guptas enjoyed undue influence over Zuma’s administration and state companies – known locally as “state capture.” Zuma was forced by the ruling African National Congress to resign as president this year and was succeeded by Cyril Ramaphosa as the allegations continued to build. The Gupta brothers – Ajay, Atul and Rajesh – have since left South Africa, while Duduzane Zuma has been charged with bribery related to the Jonas meeting. The former president has denied he was influenced by others and is challenging separate graft charges related to an arms deal in the 1990s. Jonas also told the inquiry that the Hawks police unit had said they intended to block the investigation into the alleged bribe, and that he had refused to sign a pre-written statement handed to him by members of the specialised anti-corruption unit. He waited almost five months before speaking out about the meeting with the Guptas because of a lack of confidence in the criminal justice system, Jonas said.